Hiring? 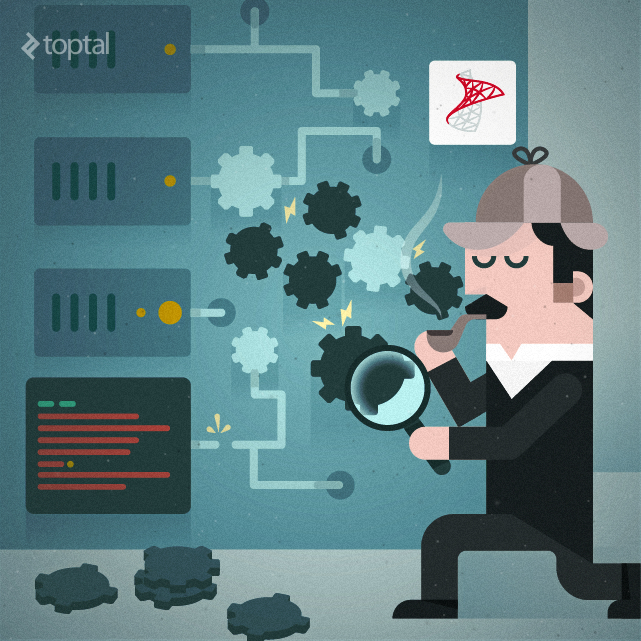 Toptal handpicks top SQL Server developers to suit your needs. Sripal is a perfectionist website performance optimization engineer, experienced in front-end, back-end, as well as database development. In this article I will describe a step-by-step procedure for basic performance tuning on one of the top database servers in the market: Microsoft SQL Server (SQL Server, for short). As with any other software, we need to understand that SQL Server is a complex computer program. If we have a problem with it, we need to discover why it is not running as we expect. Even though SQL Server is proprietary software, Microsoft has provided a lot of ways to understand it and use it efficiently. If the hardware is OK and the installation has been done properly, but the SQL Server is still running slowly, then first we need to find out if there are any software related errors. To check what is happening, we need to observe how different threads are performing. This is achieved by calculating wait statistics of different threads. SQL server uses threads for every user request, and the thread is nothing but another program inside our complex program called SQL Server. It is important to note that this thread is not an operating system thread on which SQL server is installed; it is related to the SQLOS thread, which is a pseudo operating system for the SQL Server. When we execute this script, we need to concentrate on the top rows of the result because they are set first and represent the maximum wait type. We need to understand wait types so we can make the correct decisions. To learn about different wait types, we can go to the excellent Microsoft documentation. Let’s take an example where we have too much PAGEIOLATCH_XX. This means a thread is waiting for data page reads from the disk into the buffer, which is nothing but a memory block. We must be sure we understand what’s going on. This does not necessarily mean a poor I/O subsystem or not enough memory, and increasing the I/O subsystem and memory will solve the problem, but only temporarily. To find a permanent solution we need to see why so much data is being read from the disk: What types of SQL commands are causing this? Are we reading too much data instead of reading less data by using filters, such as where clauses? Are too many data reads happening because of table scans or index scans? Can we convert them to index seeks by implementing or modifying existing indexes? Are we writing SQL queries that are misunderstood by SQL Optimizer (another program inside our SQL server program)? We need to think from different angles and use different test cases to come up with solutions. Each of the above wait type needs a different solution. A database administrator needs to research them thoroughly before taking any action. But most of the time, finding problematic T-SQL queries and tuning them will solve 60 to 70 percent of the problems. We need to be careful with the results; even though a query can have a maximum average run time, if it runs only once, the total effect on the server is low compared to a query which has a medium average run time and runs lots of times in a day. The fine-tuning of a T-SQL query is an important concept. The fundamental thing to understand is how well we can write T-SQL queries and implement indexes, so that the SQL optimizer can find an optimized plan to do what we wanted it to do. With every new release of SQL Server, we get a more sophisticated optimizer that will cover our mistakes in writing not optimized SQL queries, and will also fix any bugs related to the previous optimizer. But, no matter how intelligent the optimizer may be, if we can’t tell it what we want (by writing a proper T-SQL queries), the SQL optimizer won’t do be able to do its job. SQL Server uses advanced search and sorting algorithms. If we are good at search and sorting algorithms, then most of the time we can guess why SQL Server is taking particular action. The best book for learning more and understanding such algorithms is The Art of Computer Programming by Donald Knuth. When we examine queries that need to be fine-tuned, we need to use the execution plan of those queries so that we can find out how SQL server is interpreting them. I can’t cover all the aspects of the execution plan here, but on a basic level I can explain the things we need to consider. First we need to find out which operators take most of the query cost. If the operator is taking a lot of cost, we need to learn the reason why. Most of the time, scans will take up more cost than seeks. We need to examine why a particular scan (table scan or index scan) is happening instead of an index seek. We can solve this problem by implementing proper indexes on table columns, but as with any complex program, there is no fixed solution. For example, if the table is small then scans are faster than seeks. There are approximately 78 operators, which represent the various actions and decisions of the SQL Server execution plan. We need to study them in-depth by consulting the Microsoft documentation, so that we can understand them better and take proper action. Even if we implement proper indexes on tables and write good T-SQL code, if the execution plan is not reused, we will have performance issues. After fine-tuning the queries, we need to make sure that the execution plan may be re-used when necessary. Most of the CPU time will be spent on calculating execution plan that can be eliminated, if we re-use the plan. The best way to re-use the execution plan is by implementing parameterized stored procedures. When we are not in a position to implement stored procedures, we can use sp_executesql, which can be used instead to execute T-SQL statements when the only change to the SQL statements are parameter values. SQL Server most likely will reuse the execution plan that it generated in the first execution. Again, as with any complex computer program, there is no fixed solution. Sometimes it is better to compile the plan again. Let us assume we have a non-clustered index on the name column and half of the table has value sri and few rows have pal in the name column. For the first query, SQL Server will use the table scan because half of the table has the same values. But for the second query, it is better to use the index scan because only few rows have pal value. Even though queries are similar, the same execution plan may not be good solution. Most of the time it will be a different case, so we need to carefully analyze everything before we decide. If we don’t want to re-use the execution plan, we can always use the “recompile” option in stored procedures. After fine-tuning the queries, we need to check how the indexes are used. Index maintenance requires lots of CPU and I/O. Every time we insert data into a database, SQL Server also needs to update the indexes, so it is better to remove them if they are not used. SQL server provides us dm_db_index_usage_stats DMV to find index statistics. When we run the T-SQL code below, we get usage statistics for different indexes. If we find indexes that are not used at all, or used rarely, we can drop them to gain performance. When setting up a database, we need to keep data and log files separately. The main reason for this is that writing and accessing data files is not sequential, whereas writing and accessing log files is sequential. If we put them on the same drive we can’t use them in an optimized way. When we purchase Storage Area Network (SAN), a vendor may give us some recommendations on how to setup it up, but this information is not always helpful. We need to have a detailed discussion with our hardware and networking guys on how to keep data and log files separately and in an optimized way. For a production database we need a database with full recovery mode, and for other databases, a simple recovery mode is enough. Testing on a production database will put lots of load on the transaction log, indexes, CPU and I/O. That’s why we need to use separate databases for production, development, testing and analyzing. If possible, use separate machines for each database, because it will decrease the load on the CPU and I/O. Log file needs to have enough free space for normal operations because an autogrow operation on a log file is time-consuming and could force other operations to wait until it is completed. To find out the log file size for each database and how much it is used, we can use DBCC SQLPERF(logspace). The best way to set up tempdb is to put it on separate disk. We need to keep the initial size as big as we can afford because when it reaches an autogrow situation, performance will decrease. As mentioned before, we need to make sure that SQL server runs on a separate machine, preferably one without any other application on it. We need to keep some memory for the operating system, plus some more if it is part of a cluster, so in most cases around 2GB should do. For mission critical environments, a millisecond delay in getting information can be a deal breaker. The procedures and suggestions discussed here are for basic performance tuning only. If we follow these steps, we may, on average, get around 40 to 50 percent improvement in performance. To do advanced SQL Server performance tuning, we would need to dig much deeper into each of the steps covered here.